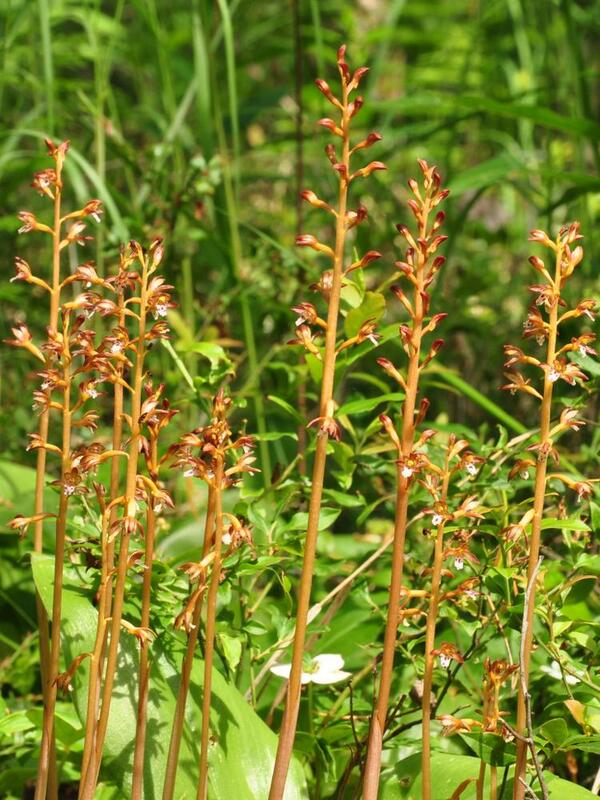 Corallorhiza maculata, commonly known as Spotted Coral Root, is widely distributed across North America, its range spanning virtually all of Canada and the United States with the exception of the northernmost Canadian provinces and some southern U.S. states. 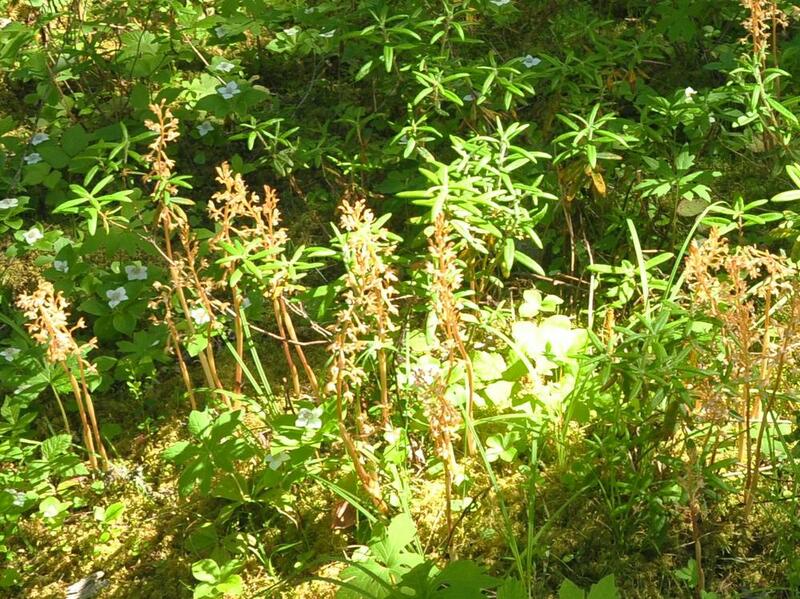 Like other members of its genus, this orchid is myco-heterotrophic: it primarily obtains nutrients not from photosynthesis but through mycorrhizal fungi. 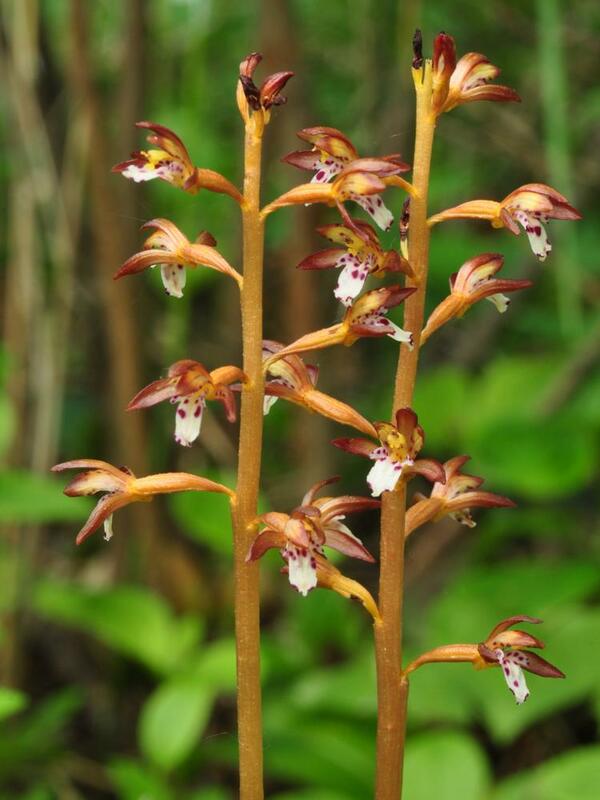 It produces up to 41 flowers with brown, yellow, or reddish petals and a white labellum spotted with purple (from which it derives its common name). 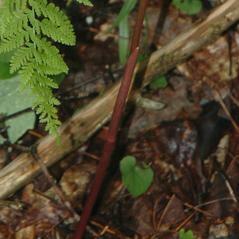 It grows in a wide variety of woodlands and forests, generally preferring those with limited herbaceous cover. 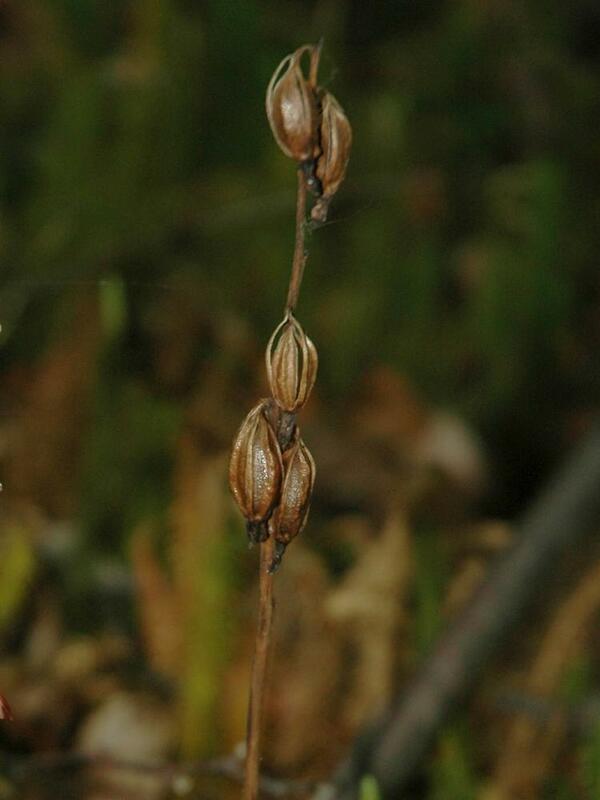 Corallorhiza maculata is considered globally secure, and is only considered rare in a few central plain states. 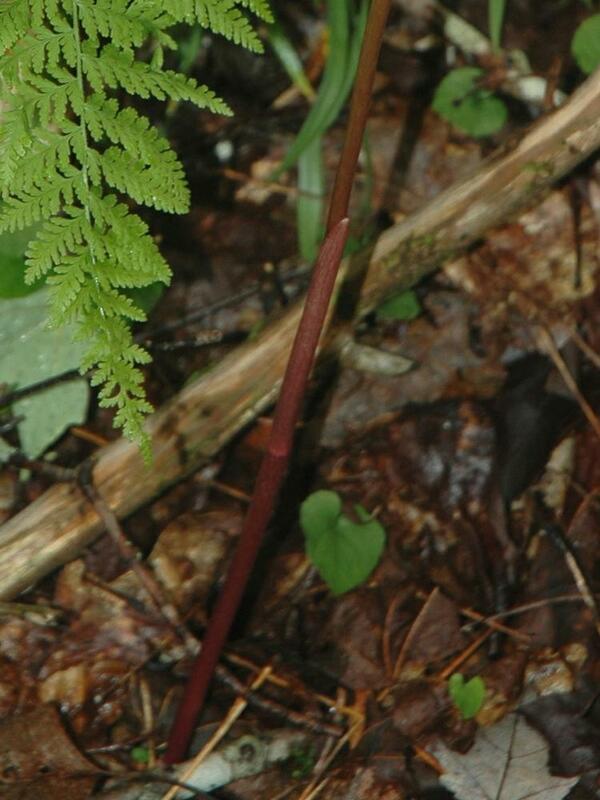 It is most likely to be confused with C. trifida, from which it can be distinguished by the latter's smaller size and earlier blooming period. 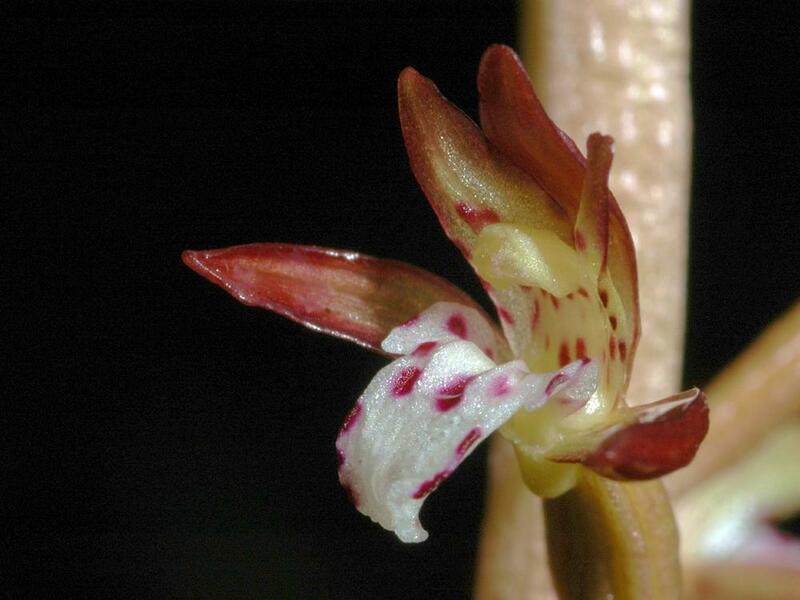 This orchid is capable of self-pollination after the flower has opened but insect pollination can occur before and after self-fertilization. 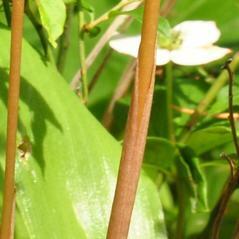 An unidentified species of Empis has been recorded removing nectar from the flower and leaving with pollinia stuck to its thorax then depositing it on the stigma of a second flower. Mining bees in the genus Andrena have also been recorded as pollinators. 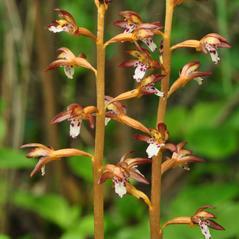 Corallorhiza maculata has two common varieties widespread in North America: Corallorhiza maculata var. 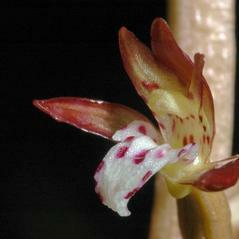 maculata, which has an unexpanded middle lobe of the labellum, and Corallorhiza maculata var. occidentalis, which has a distinctly expanded middle lobe. When they grow together, var. 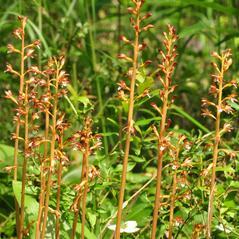 occidentalis usually flowers several weeks earlier than var. 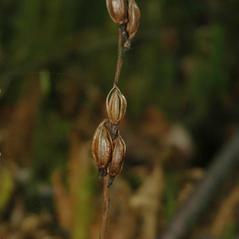 maculata. A third variety, C. maculata var. 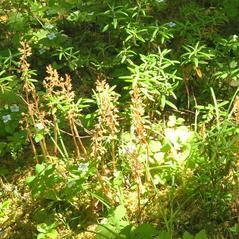 ozettensis is restricted to British Columbia and the state of Washington. 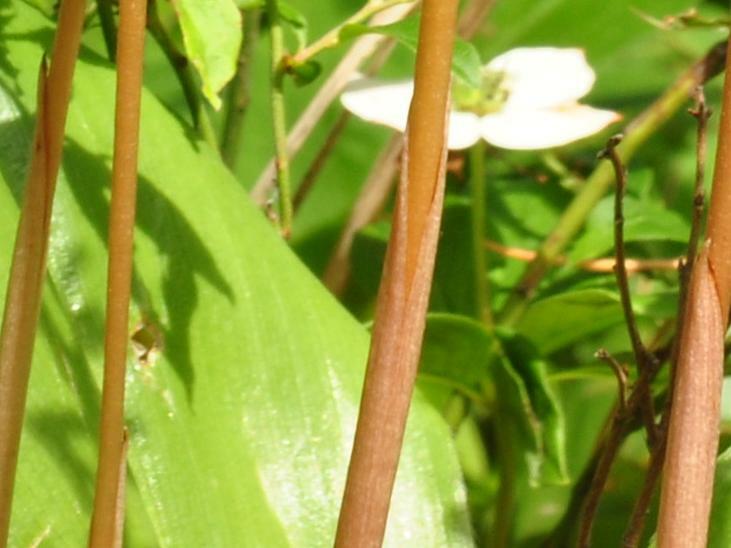 These plants lack the spotting of the other two varieties and have green flowers lightly striped in red-purple and a white labellum.